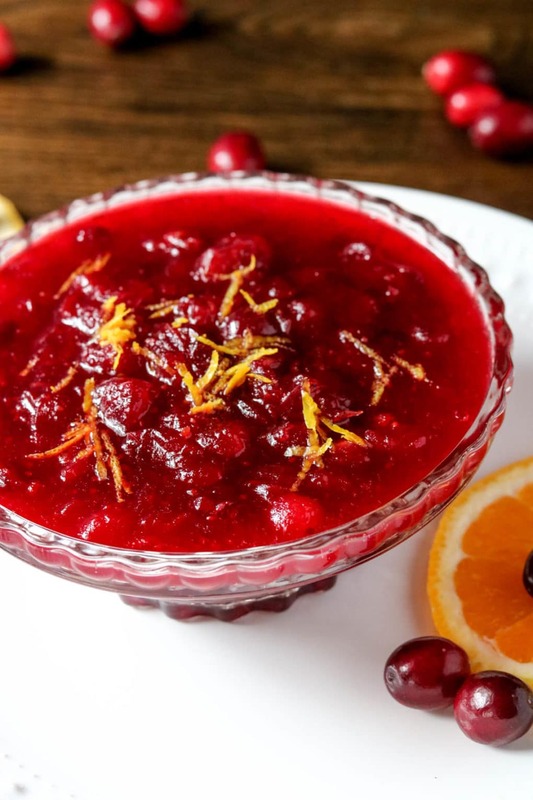 Whip up the perfect Thanksgiving side dish with this fresh orange cranberry sauce. It’s perfect on its own, or use it to add a boost of flavor to your turkey. Fresh cranberries, freshly squeezed orange juice and a hint of red wine make up this delicious orange cranberry sauce. 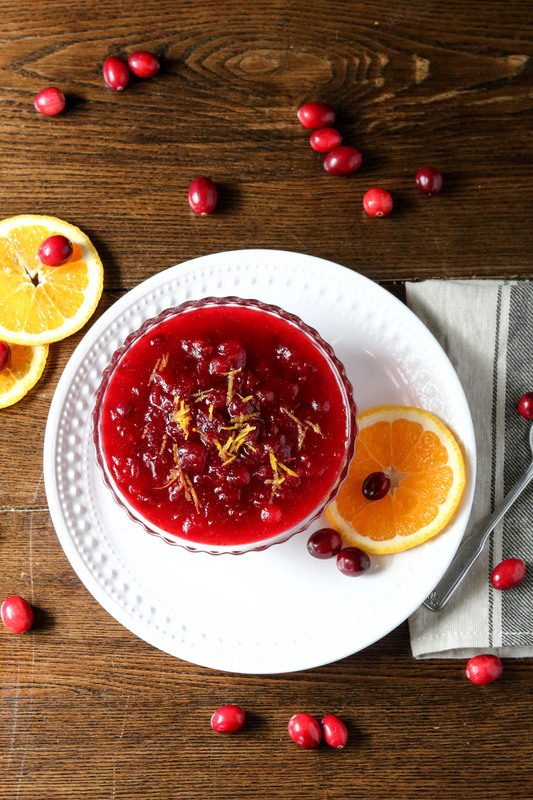 Add this sweet, yet tart, side dish to your Thanksgiving meal plan. Skip the canned, slimy, jellied cranberry sauce and try making this fresh orange cranberry sauce this year, I promise you won’t regret it! 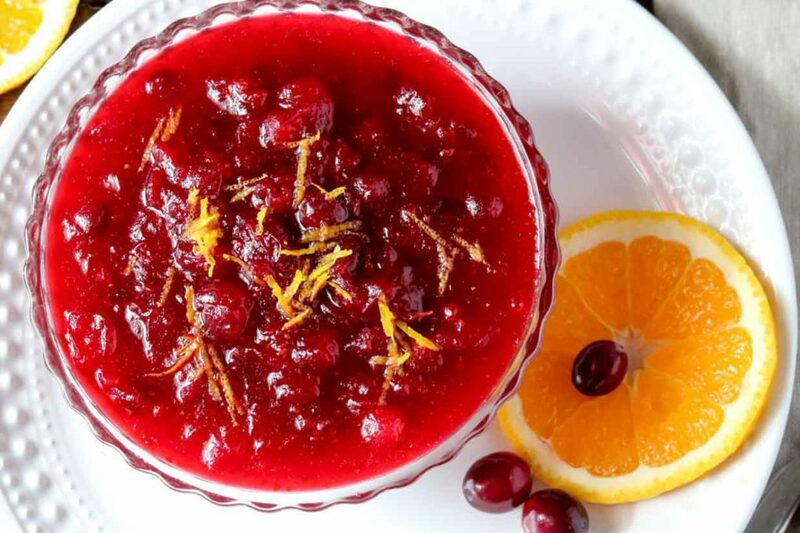 Rinse fresh cranberries and add to a large saucepan. Add in the water, sugar, and orange juice. Bring to a slow boil and boil for about 3-4 minutes, then lower heat to a simmer. Simmer for about 20 minutes, stirring occasionally, until cranberries are cooked down and thickened. Add in red wine and orange zest and simmer for another 1-2 minutes. Top with additional orange zest before serving, if preferred.